When it comes to thinking of Milan, the first thing that probably pops to mind for the rest of Italy is money: in the country’s imaginary, the blue-banana city spends every breathing minute on making it —and spending it well. 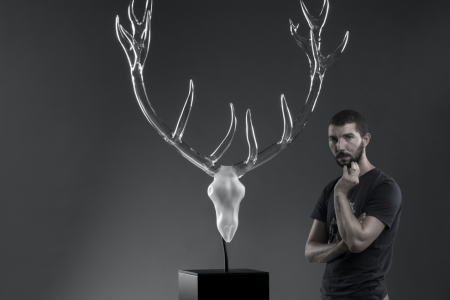 It’s no wonder, then, that one of the objects in the Man de Milan project by designer Domenico Orefice is a piggy bank. Well, a rather particular one: the native Milanese was inspired by the traditional salvadané —literally “money saver” in the local dialect— to create his own version. 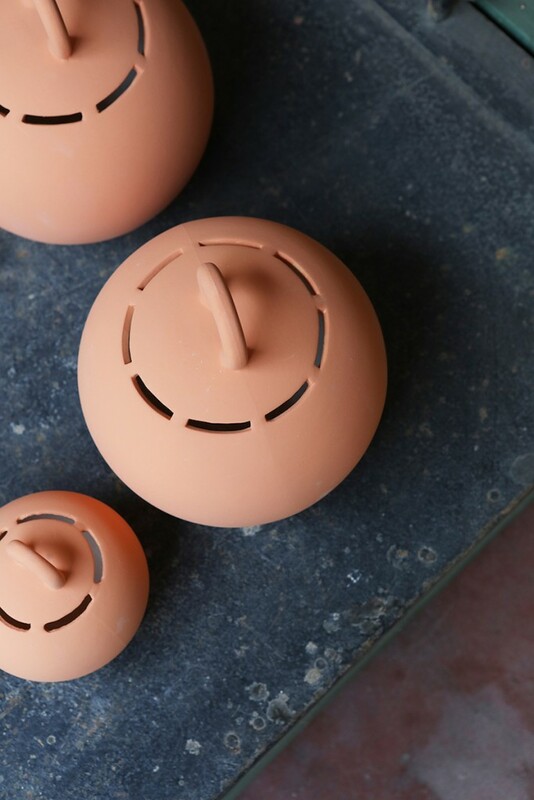 Aided by the historical Curti furnaces in Porta Ticinese, who have been working on cotto lombardo pottery since the 1400s, he produced a series of pieces that, instead of hitting the rubbish bin once the top is cracked to remove the coins, can be reused as flower pots. 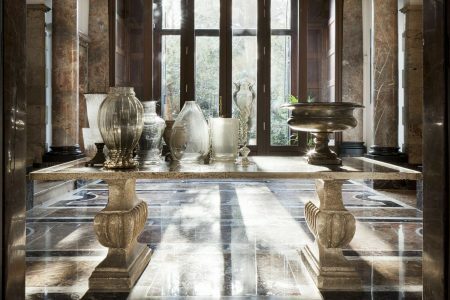 It is, in other words, a tangible combination of past and present: Milanese artisanal tradition conceived with sustainability in mind. 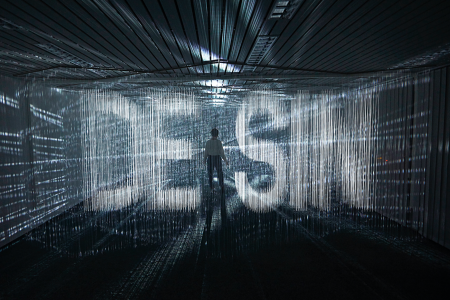 “This project, which means Hands of Milan in English, seeks to tell the story of the visual archetypes, the materials and the skills that have shaped the city,” he explained during his showcase in this year’s SaloneSatellite at the Salone del Mobile fair. 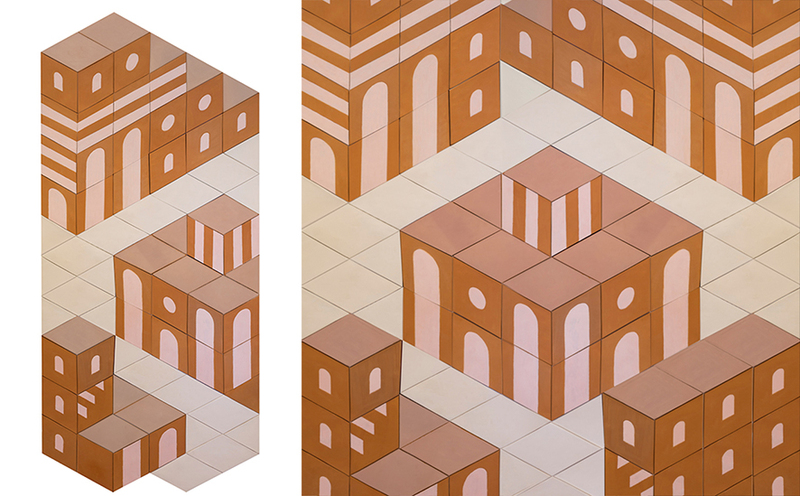 Those materials and skills also produced Curti, a series of clay tiles made in the eponymous furnaces, which create the image of a city when combined. The Mulino bookshelf, inspired by the mechanical work of that famed Milan resident Leonardo da Vinci, was made by D3 Wood using local or reclaimed walnut and cedar. 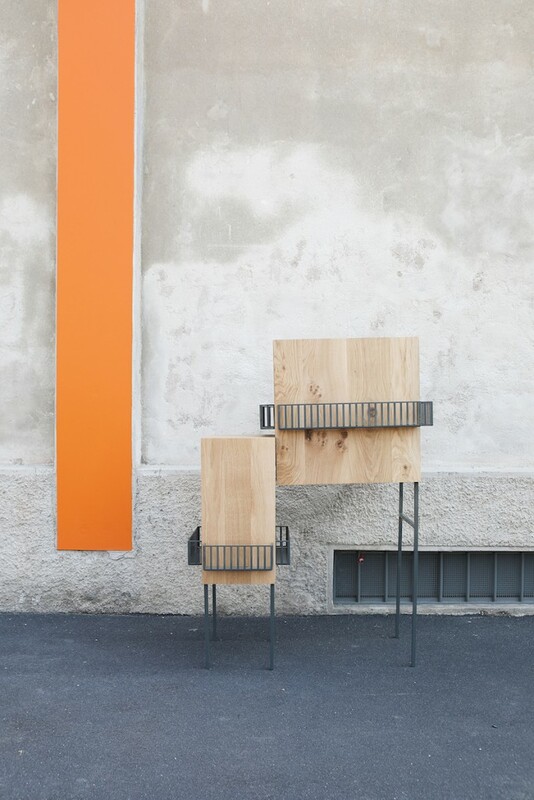 The Ringhiera cabinet uses laser-cut iron to mimic the shared railings in the interior courtyards of the once popular case di ringhiera, a catalyst for much neighbourly contact. Buildings by Giovanni Muzio, Gio Ponti and Luigi Caccia Dominioni were turned into textile patterns for Dezza, Ca’Brutta, Sant’Ambrogio. Zafferano, a yellow side table made of resin pigmented with saffron, still holding suspended bits of the spice inside, can remind you of the way the local risotto is made. 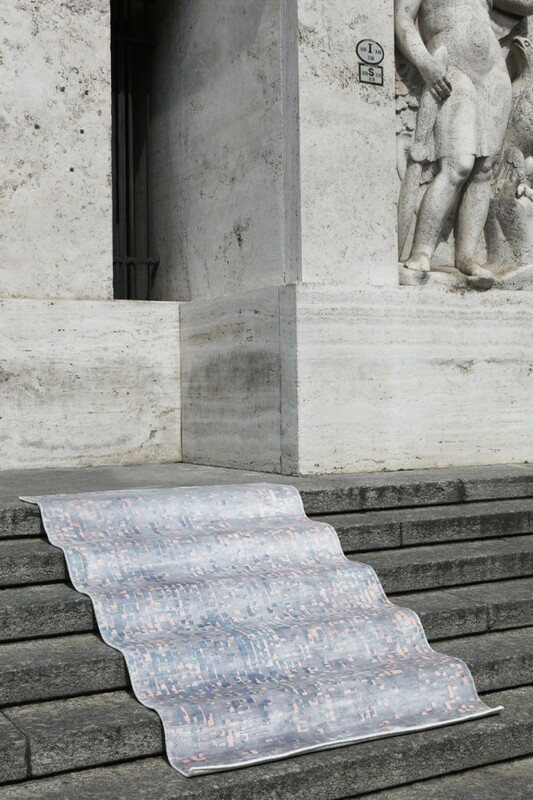 But perhaps the most striking object in the collection is Nebbia, a rug with a deceptively simple geometrical pattern. Using the city’s archive of meteorological data, each spot on the grid stands for a measure of fog in the Milanese skyline in the autumn and winter months, from 1973 to 2017: blue stands for heavy presence, while orange represents good visibility. In the 70s and 80s, the spots are consistently blue; as the squares approach current days, orange becomes the norm. Due to the effects of global warming the fog, once part of the city’s lore, might only exist in the memories of its longtime residents. And for nostalgia’s sake, if one combs the rug just so, the entire geometrical pattern disappears and the cotton and viscose turn into something resembling thick, grey fog. Man de Milan is, indeed, a local’s design tribute to the many swan songs around him. But there was another tribute to a scene very much alive in the city. 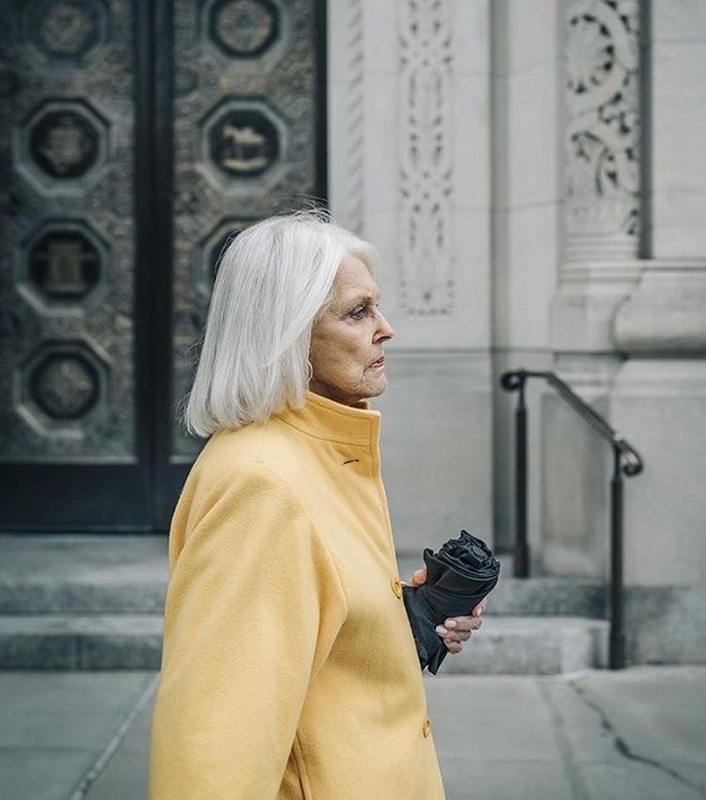 If you’ve seen the flawless grey-haired coifs of the older women who elegantly walk around or take the tram looking —rightfully so— like they’re known on a first-name basis in the city’s most exclusive fashion retailers, you’ve seen a sciura. 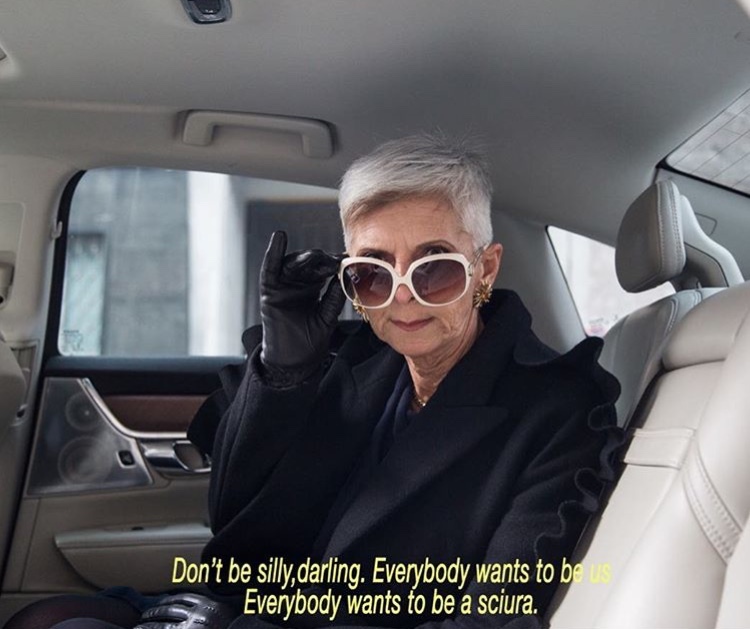 In the local dialect, the word means simply “lady” —but then again, fare la sciura or doing the sciura thing can also mean showing off sartorially. And at Kartell’s Crossing Generation event, held in its flagship store on via Turati during this Milan Design Week, the most devoted follower of the sciure took the stage: the unnamed young man behind Sciuraglam, a tongue-in-cheek Instagram account that documents the comings and goings of the city’s glamour grandmas. 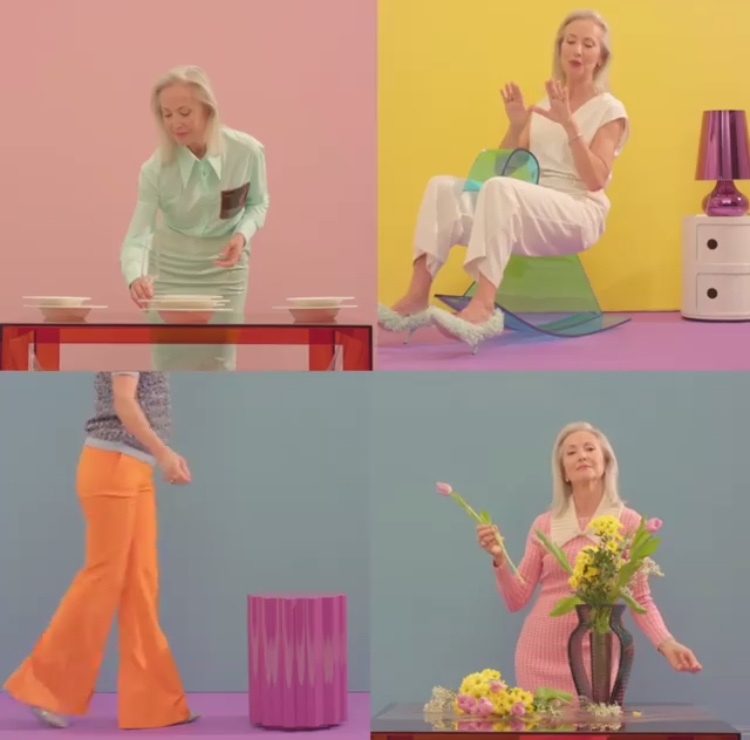 As the brand’s project aims to form a bond between art, music, fashion and design, this one fit right in: in a video installation that had a white-haired woman arranging Kartell objects in her imaginary home, the sciurino paid homage to the legendary taste and bon ton elegance of his favourite subjects. And yes: sandwiched between the Millennials and Gen-Xers there were, of course, several sciure in attendance. So much for the stereotype of the Milanese being cold and serious: these two projects stand as proof that the city not only has the warmth to love itself, but also the joy needed to laugh at the mirror. 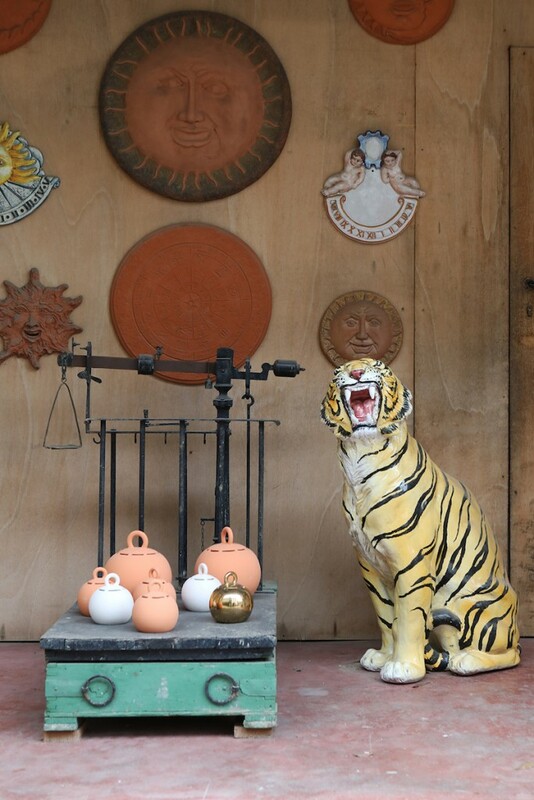 The piggy bank Salvadané (in Milanese dialect) is made in the Curti Furnace of Milan, where the traditional spherical archetype was born. The main feature is the linear holes that revolve around the entire top part, allowing the coins to enter. 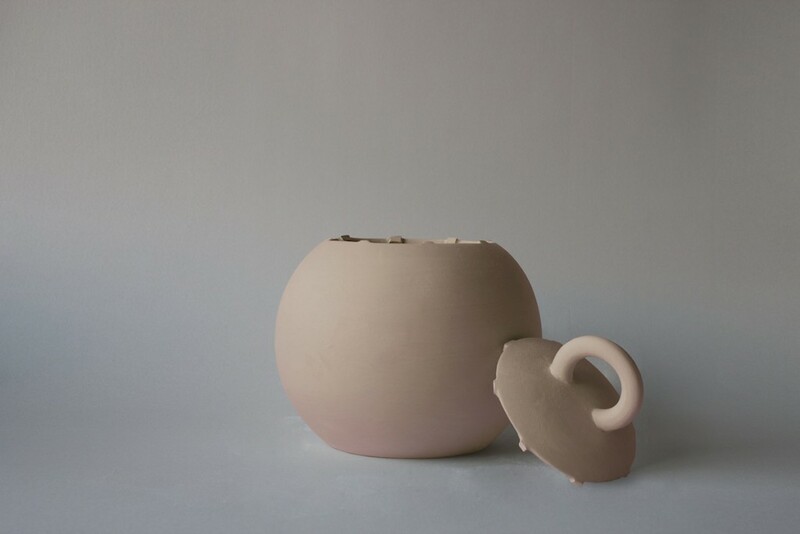 The holes also come in handy to break off the top, in order to begin its second use as a flower pot or a container. 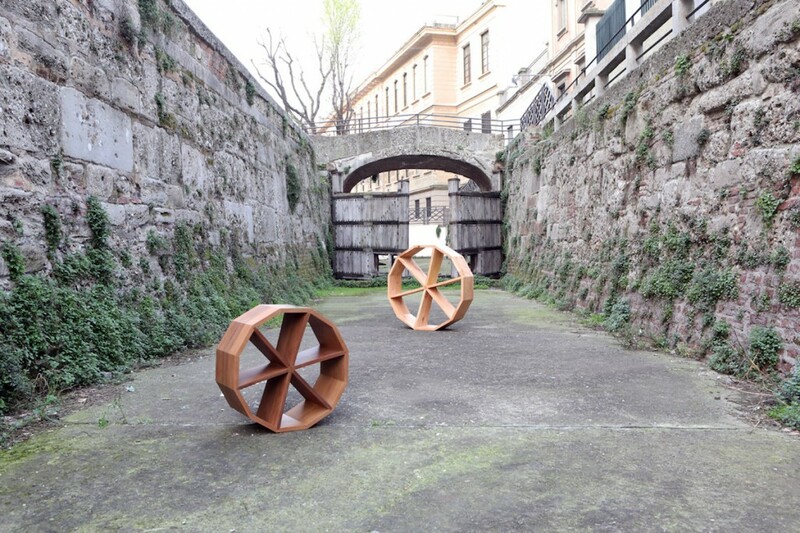 The bookcase was inspired by the machines designed by Leonardo da Vinci in the Sforza era, as well as the symbolism of the windmill (that's where the object's name translates to) as an energy-producing element. The tiles intended for the façade of the Maggiore hospital (Ca’ Granda) were based on a design by Antonio Averulino, known as the Filarete. This was the main inspiration behind this collection of diamond-shaped tiles, which can be used to compose an entire city. The cabinet was inspired by the houses with an interior courtyard --that is, the popular agricultural Lombard building, known as a casa di ringhiera. The pattern in the rug represents the change in fog levels between 1973 and 2017. 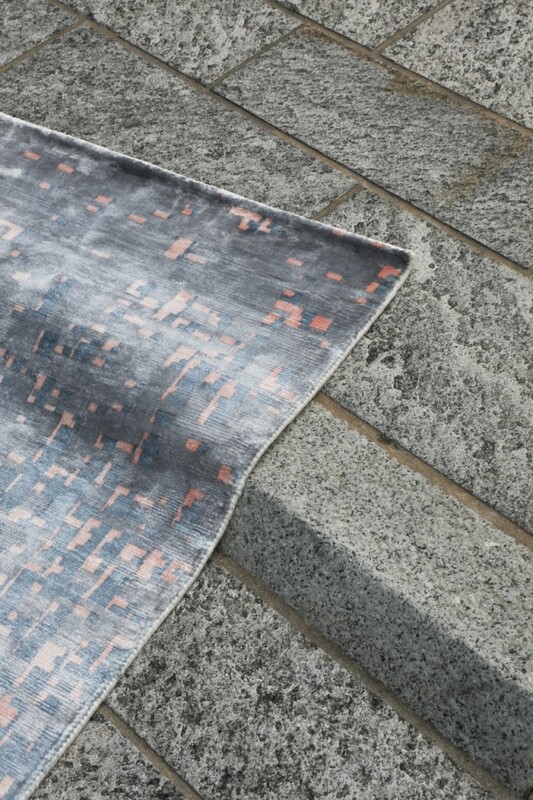 Looking at the carpet from another vantage point, it becomes evanescent, thanks to its material composition. 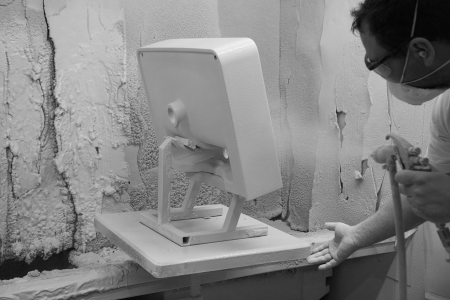 A still from the Kartell x Sciuraglam video for the installation. One of the sciure, captured in the Instagram account. 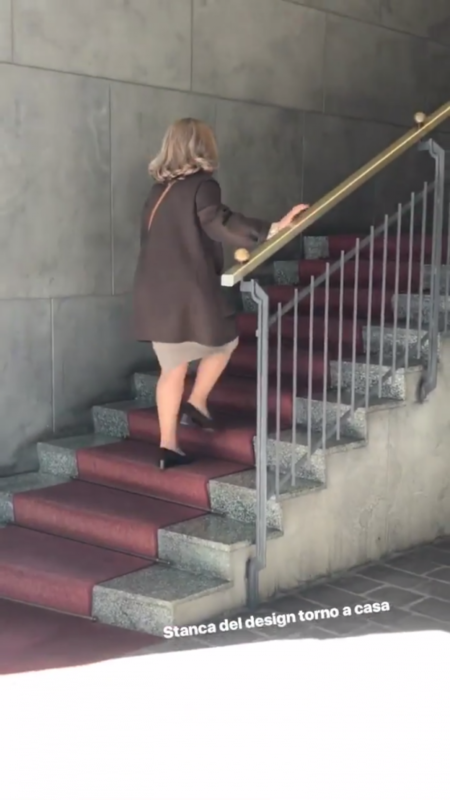 This video Instagram Story, sent out during the Milan Design Week, follows a woman walking slowly back to her apartment lobby. The caption? "So tired of design/from all this design, I'm going back home." The Instagram account often receives comments from teenagers who can't wait to skip the line and become sciure as soon as possible.